Dialogue can be difficult to write, specifically the aspect of punctuation, when you first begin. It is also something that becomes second nature with time and practice. The basic challenge lies with proper use of quotation marks. Each new speaker in a written conversation requires his or her own indented paragraph, and the quotation—the speaker’s words—is opened with double quotation marks. The quotation is then closed with either a comma or a period (or other appropriate punctuation), and then closing quotation marks. “Adina is always welcome here,” said Bella. “Adina is always welcome here.” Bella smiled at her new friend. Notice that if a speech tag is used (said Bella), then a comma is needed just before the closing quotation marks. 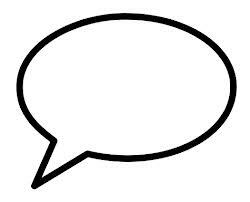 If what comes after the quotation is not a speech tag, but an independent sentence, then a period is used at the end of the quotation. The general rule, at least in North America, is that the comma, period, question mark or exclamation point is included inside the closing quotation marks. The quiet, almost invisible word “said” is a writer’s best friend. Readers skim over it as if it doesn’t exist. It serves its purpose without distracting from the actual conversation taking place. In most cases, it is best to avoid the use of loud, distracting words like the following: retorted, maligned, cajoled, howled, lilted, transmitted, whimpered, etcetera. I just found a list of five hundred of these words on an internet site, yet we rarely need anything besides “said.” The strength of the conversation, the word choices and the characters themselves should fill in the desired emotion. Try writing your story without using speech tags. Independent sentences, or beats, describing what the characters are doing while they are speaking, can make speech tags almost unnecessary. “Adina, you are not welcome here.” Stephanie stamped her foot. With practice and conscientious use, these tips will help you to become more proficient at writing dialogue. For practice, pick one of your favourite nursery rhymes (Little Boy Blue; Mistress Mary, Quite Contrary; Mary had a Little Lamb; etc.) and write the story completely in dialogue. Then try it using beats (Stephanie stamped her foot) to avoid speech tags.